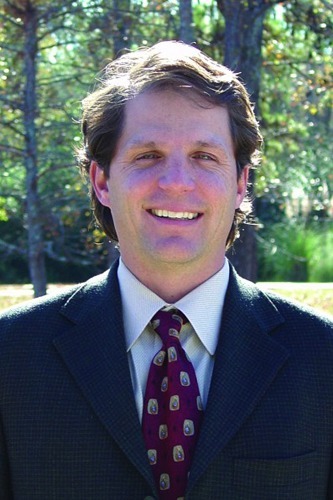 John D. Sobiesk, MD, is one of four partners at Ear, Nose & Throat in Hattiesburg, Lucedale and Picayune. Dr. Sobiesk received his medical degree from Louisiana State University School of Medicine in New Orleans, where he also served his internship and residency and received his fellowship training. He is board-certified with the American Board of Otolaryngology, Head and Neck Surgery. His areas of special interest are pediatric ear, nose and throat diseases and surgical treatment of diseases in the sinuses of all ages. Dr. Sobiesk and his three partners, Michael J. Hammett, MD; J. Michael Hodges, MD; and T. Luke Thompson, MD, are dedicated to providing quality care to their patients at Ear, Nose & Throat in Hattiesburg, Lucedale and Picayune. At Hattiesburg Clinic Ear, Nose & Throat, we are a comprehensive practice dedicated to providing quality care. Our providers at Ear, Nose & Throat use the newest technology and offer medical and surgical treatment options to our patients of all ages. Louisiana State University School of Medicine - New Orleans, La. Louisiana State University Affiliated Hospitals - New Orleans, La.